German Easter Breakfast- The BEST German Breakfast of the Year! Bikes in Münster Germany- Germany’s Best City for Cycling! Home German Foods and Recipes German Candy What is a Zuckerhase? 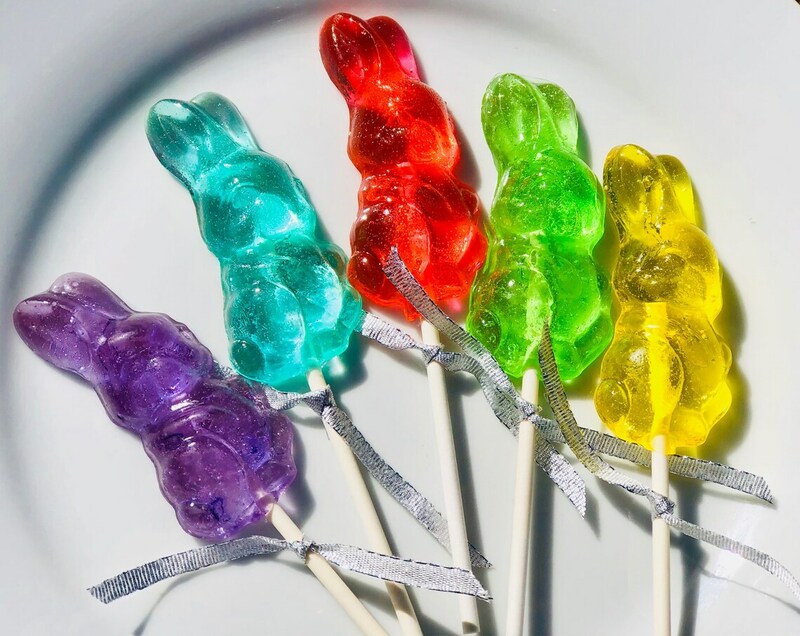 Learn More about these Nostalgic Easter Treats! What is a Zuckerhase? Learn More about these Nostalgic Easter Treats! Bikes in Münster Germany- Germany's Best City for Cycling! 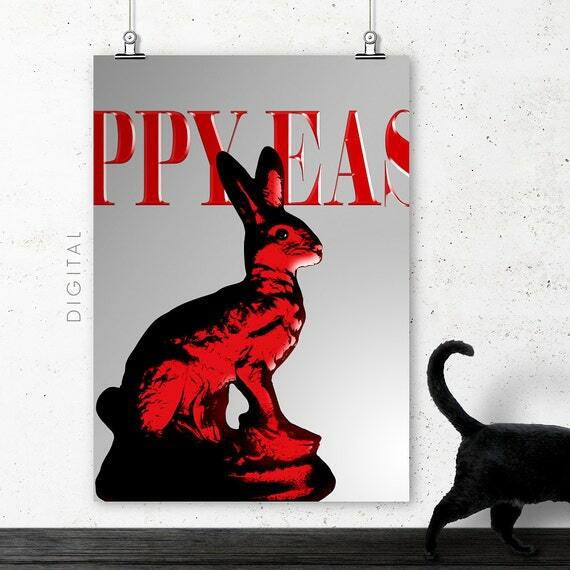 Every Easter, someone asks me if I remember the Rote Zuckerhase (red Sugar Rabbit). My response….What is a Zuckerhase? Honestly, I’ve never seen one. I’m a child of chocolate bunnies. And I never saw them when I visited Germany at Easter. Since so many people have fond memories of them, I decided to do some digging. Turns out, there’s a reason they existed, and a reason you don’t really see them anymore. But, don’t despair, slowly but surly, the Rote Zuckerhase is making a nostalgic comeback. A Zuckerhase is a Sugar Rabbit. Before the 18th century, sugar was an expensive commodity, since cane sugar had to be imported. However, by the beginning of the 18th century making sugar from Sugar Beets made sugar far more affordable, to the point where candy and treats could be purchased by the average person. 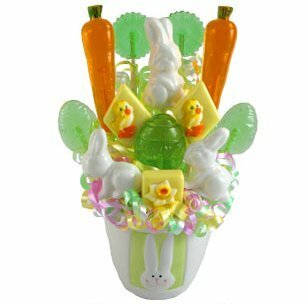 Around this time Confectionery and Pastry shops would produce Easter Bunnies made of candy for Easter. 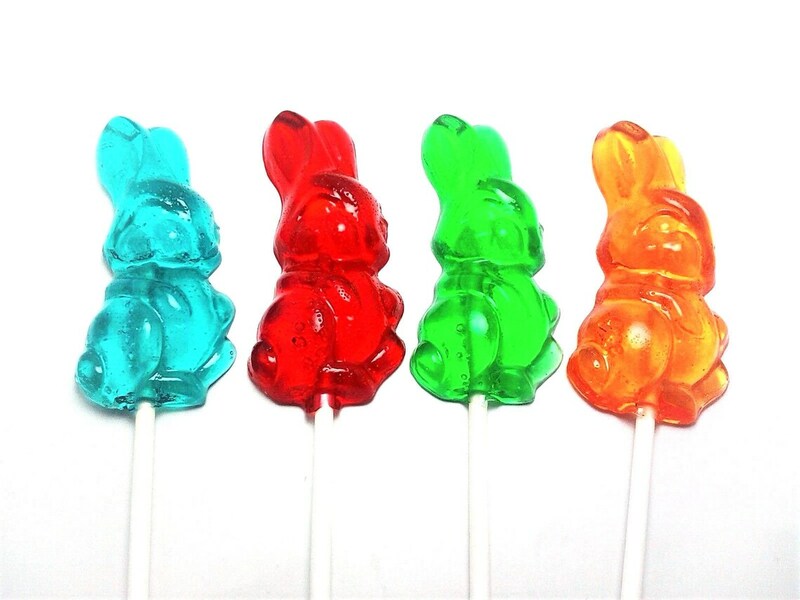 These Zuckerhasen… Sugar Rabbits… were made by pouring red dyed melted sugar into hinged molds. The excess is poured out, leaving a coating of melted candy on the inside of the mold. 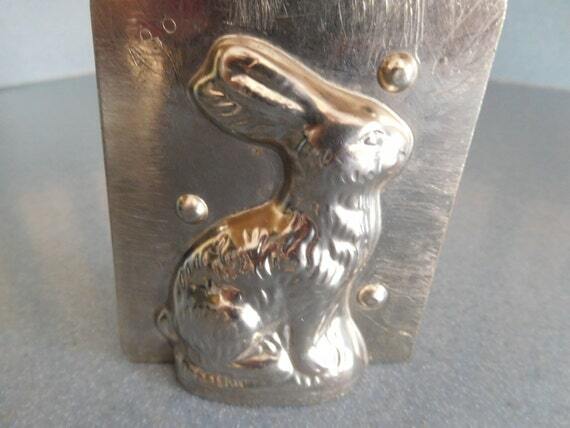 After setting, the molds would be opened, and the Rote Zuckerhase would be popped out…. all ready for some lucky child. You could also get yellowish Rahmhasen (cream rabbits) made with melted sugar combined with cream and butter. The yellow Rabbits were a little softer and less brittle, because of the cream. Why Were the Rabbits made Red or Yellow? The colors are highly symbolic of Easter time. Red symbolizes life… and Yellow, the bright sun after the dark night. While red dye would be added to the sugar for the Rote Zuckerhasen… the Rahmhasen just got their creamy yellow color from the addition of dairy products. What Happened to the Zuckerhasen? Nothing really HAPPENED to the Zuckerhasen, they just fell out of fashion a bit. 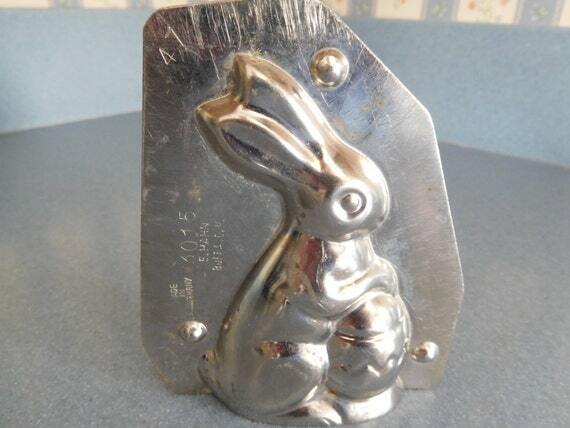 In the mid-1950s, chocolate got cheaper, and more popular, so Candy Makers started using their Rabbit Molds for chocolate. Also, you can make a chocolate bunny with a machine… it takes a certain hands-on touch to make a Zuckerhase. Finally, the Zuckerhasen faded away. Today, there seems to be a small resurgence of interest in Rote Zuckerhasen. Nostalgia for old-fashioned candies is bringing them back. Also, they are being marketed to kids (and sweet toothed adults) with allergies to chocolate. I found this sweet story in the Augsburger Allgemeine about Hans-Joachim Kurkowski a German candy maker, who is slowly bringing the Zuckerhase back. Mostly by trail and error, and some tips from an older generation who still remembers making them. The article is in German… but if you read it in the Chrome browser, hit the 2 squares on the right end of the URL bar for a translation. Want to Make Your own Zuckerhasen? Some of the antique molds are VERY expensive. But most are reasonable. Can You Purchase Zuckerhasen Online? I found a company in Germany, Confiserie Segerer, who sells Zuckerhasen online, but just in Europe. What is the Easter Fire in Germany? A Symbol of Light in Darkness…. next Playmobil for Easter- Fill the Easter Basket with Bunnies & Eggs that Last! Oh my goodness! Thank you so much for sharing my mold! I just love Antique chocolate malts and all things German. I’ve never been but my heart is there for sure! Thank you again so much ! 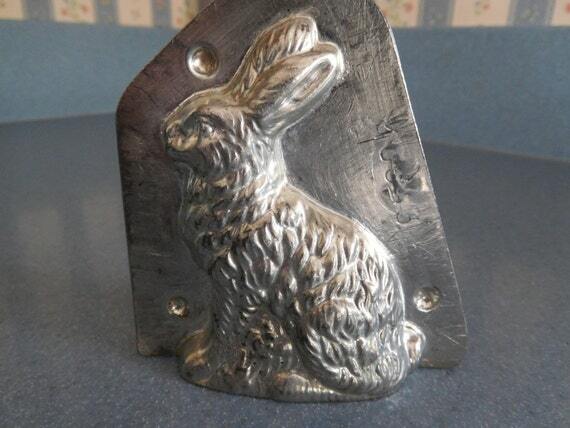 Melissa of Soldered Sparrow on Etsy ???? Oops MOLDS! I don’t think an antique chocolate malt would be very good ???? karenanne,thanks so much for the post.Much thanks again. Really Cool. Thank you for your post. 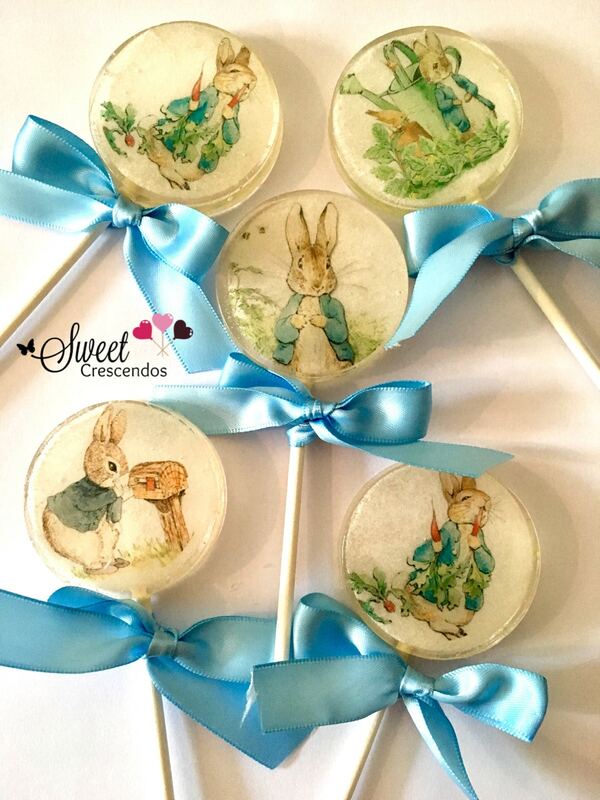 I came across it when I was hunting to see if anybody in the US sells the bunnies, and while I’m sad to learn they don’t, it was great to learn more about them. Another Easter candy I miss is the nougat eggs, and by that I mean actual eggshells filled with the most yummy creamy chocolate. I got them originally at Cafe Goldinger in Landstuhl; they made them themselves, and they had little bunnies in felt dresses on a stick stuck on top of them (I still have the bunnies in my shadow box). Some years later I asked why they didn’t have them anymore, and was told they weren’t allowed to put them in real eggshells anymore. A few years later I found some at a grocery store, but they weren’t bunnified; and it was only that once I saw them. Which reminds me of the creamy chocolate that comes in those little foil mini-cupake-like forms. I can’t remember what they were called, but it was something about ice or something like that. Eiskonfekt, maybe? Those were more a winter treat, if I’m remembering correctly. And speaking of winter, I really miss the little rectangular pieces of chocolate, each wrapped in a different jewel-toned foil. About five of them would be stacked, each turned at right angles to the one below it, and then gold cord would be tied around them so they’d stay together, with a bow on top. They looked like a little stack of Christmas presents. You could hang them on the tree. Hmmm – I managed to change the topic completely! Sorry. And thank you again for your post. I love those nougat eggs too! YUM!!! I brought a few back. 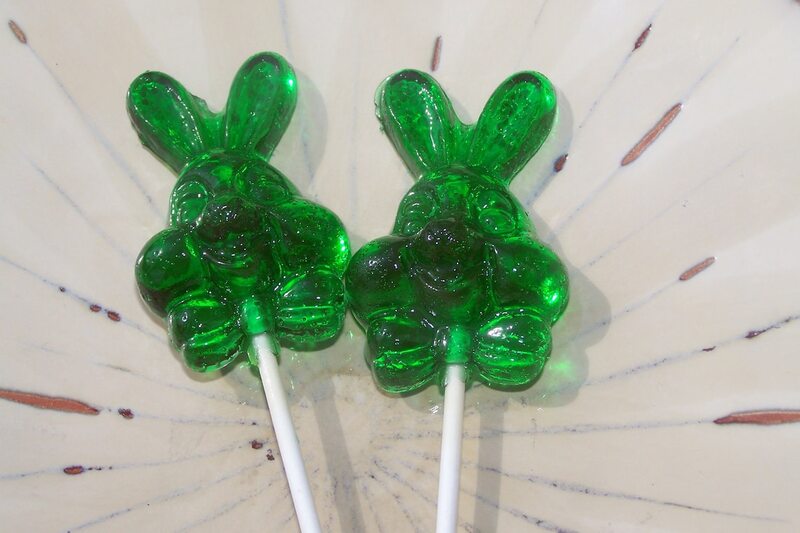 I would like to make Zuckerhase year round, could you direct me where a person could buy metal molds to make this candy year round instead of just easier time. I also thought that a person could cover apples with this recipe for candied apples – your thoughts? My wife is of German descent ans spent many years in Germany remembers her favorite candy was the red bunny. I recently bought a chocolate manufacturing/retail business(3 years ago) for my daughters and would like to resurrect this old time German candy favorite. It you could pass my name on to the German chef that is trying to bring new life to Zuckerhase I would appreciate it. You can find them here on the page… I just updated the ones that are listed. Looking for a Great German Fest? Save Money on Your Online Shopping With EBATES! Plan Your Next Trip to Germany! Don’t Rack Up High Phone Charges Overseas! Use an International Sim Card! The owner of this site is a participant in the Amazon Services LLC Associates Program, an affiliate advertising program designed to provide a means for sites to earn advertising fees by advertising and linking to amazon.com as well as other retail websites.We do not promote products we do not own or would not buy ourselves. Our goal is to provide you with product information and our own personal opinions or ideas for any given product or category.You should always perform due diligence before buying goods or services online. The Owner does not accept payment or merchandise from manufacturers in exchange for writing reviews.